Can you direct me to where you refer to setting up a 'chic toolbox' in your books? I have quickly scanned them but cannot find it. I know I have read this and cannot understand why I cannot find it! Thank you for your help and advice and support. Your books have given me the incentive and encouragement to really sort my life out. 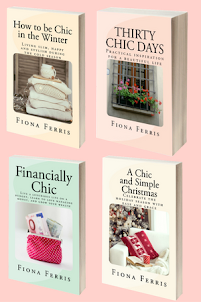 I did a quick scan through the content of each book and realised that I do talk about having a chic toolkit a lot. I love the concept of a chic toolkit and it is this: gathering up all the little tips and tricks that work for you; that motivate and inspire you to be your best and most magical self. 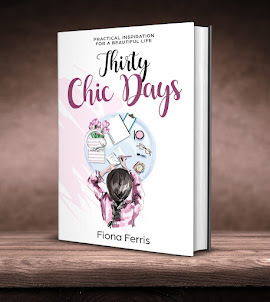 Ideas and brainsparks that illuminate your everyday life so that you are having fun, doing great things, being happy, making others happy with your happiness… that’s what a chic toolkit is to me. And the simple answer to this question is that each of my books is my own chic toolkit in which I share with you what works for me to both inspire and spark off your own ideas. I write about how I live my life in a luxurious and inspiring way, and on a budget of course. I am not about spending money to get a good result. Naturally things will cost money, but my first port of call is not to go shopping. If I feel a little hum-drum on any given day, my first step is to raise my vibration so that I feel better. I’ll tidy up my environment, groom and dress myself to suit what I am doing that day and inspire myself with some reading or journaling. I write my own inspiration all the time, and it often starts off with ‘What feels exciting to me right now?’ I note down ten things that feel buzzy and that sets me off on a better tangent than simply feeling like today is just another day to plod along. 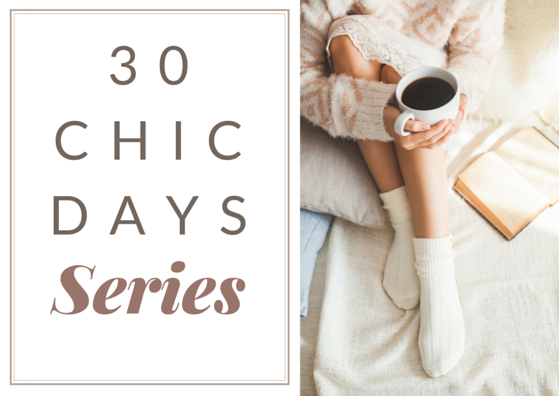 Some of my books tackle specific topics, for example, in A Chic and Simple Christmas, I talk about setting up a chic toolkit to help me get through the holiday season feeling serene and happy. Each chapter and idea are the things that are in my toolkit. How you could set up your own chic toolkit is similar to this: you would go through a particular occasion such as Christmas, or focus on something you want to achieve such as weight loss as in Thirty Slim Days, then note down all the obstacles, things that get you down, what doesn’t work well etc, and brainstorm ways (with the help of my books if you wish) to turn them around so that you can make things easier and more fun. You will look forward to these times or situations because you feel more in control instead of dreading them and feeling helpless to change anything. I am setting up a 'chic toolbox' in relation to losing weight and finding it really helpful to focus and create a mindset that helps to make it more enjoyable and doable!! Congratulations on your new book ...your books and blogs have helped to give me a confidence in myself and a definite 'chicness'! I have not had before! Thank you!! That’s exactly it! Creating a mindset around something you wish to change that makes that change fun and easy, not a miserable deprivation. 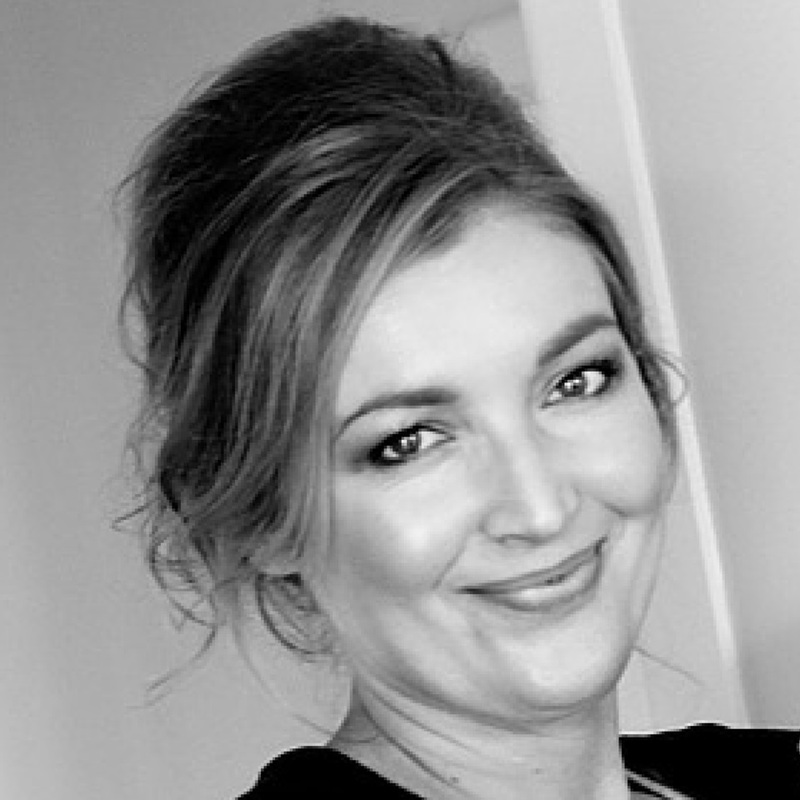 I hope this post inspires you to set up a chic toolkit for yourself, whether it is a general ‘love your life’ toolkit or one to focus on something you know you are settling on at the moment. An area that if you got that one spot mastered, you know it would make the rest of your life better. Why not brainstorm a chic toolkit for that? Write down the good things and the bad things, then take all the bad things and take the opposite, adding them to your good things list. For me right now, my writing desk is messy, with bits of cat hair scattered around. Not chic! It would take probably fifteen minutes to clear everything onto the ground, spray’n’wipe the surface with my deliciously scented Mrs Meyers geranium spray and put back only what belongs on my desk, filing and distributing the remaining few items. 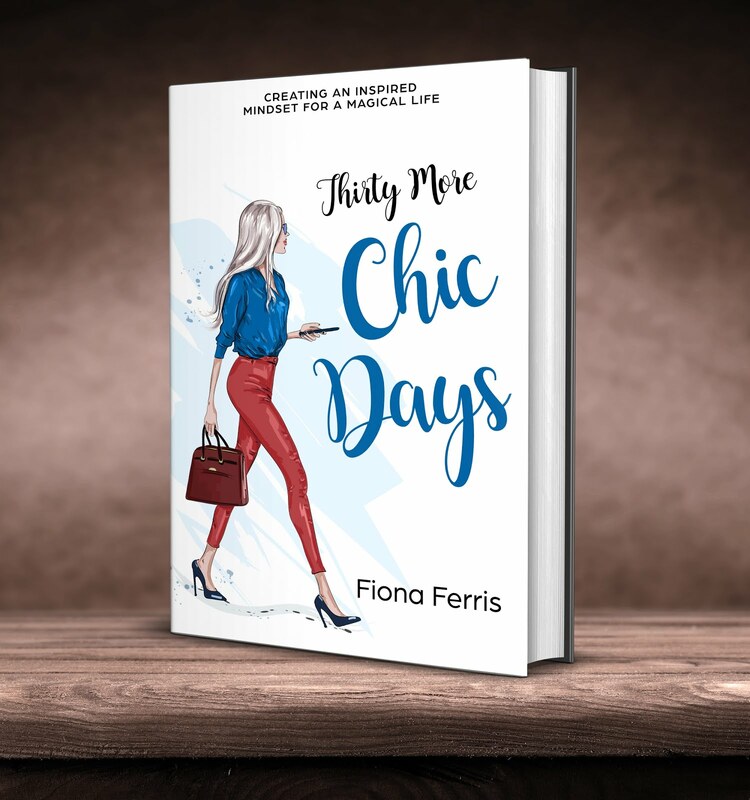 Last week I released the sequel to my most popular book, and it’s called ‘Thirty More Chic Days’. In this book I write about my newest inspiration and simple ways to uplevel your mindset to create your most fun way of living, in whatever chic flavour inspires you the most. I hope you check it out on Amazon and take a ‘Look Inside’ to see if it speaks to you! You can read the first couple of chapters that way. Congratulations on your newest book! Yes, I believe those are peonies and I am excited that you found silk ones. I am allergic to the real ones! Love the book and love the peonies. I thought they were real. Artificial flowers have come a long way in the last decade and perfect for those with allergies. Congratulations on your book Fiona, you're a real inspiration. An inspiration board could definitely be part of it, Deborah! Those peonies are beautiful, it would be wrong to suggest otherwise,but for me there is no replacement for real flowers. I know they are ephemeral, but it's their very short-lived nature that is so appealing to me. 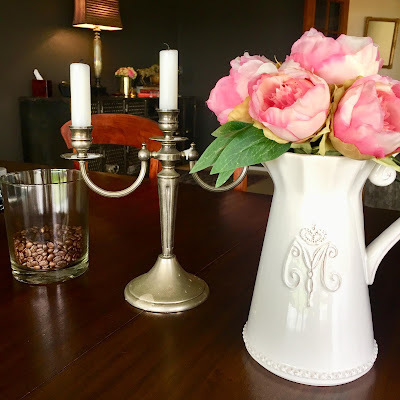 As Carron says, artificial flowers have come a long way, but they are still artificial ... but useful if you have an allergy to flowers, of course and, as I say, they are beautiful. But for me, real every time. Yes, congratulations, yet again, on your lovely new book. 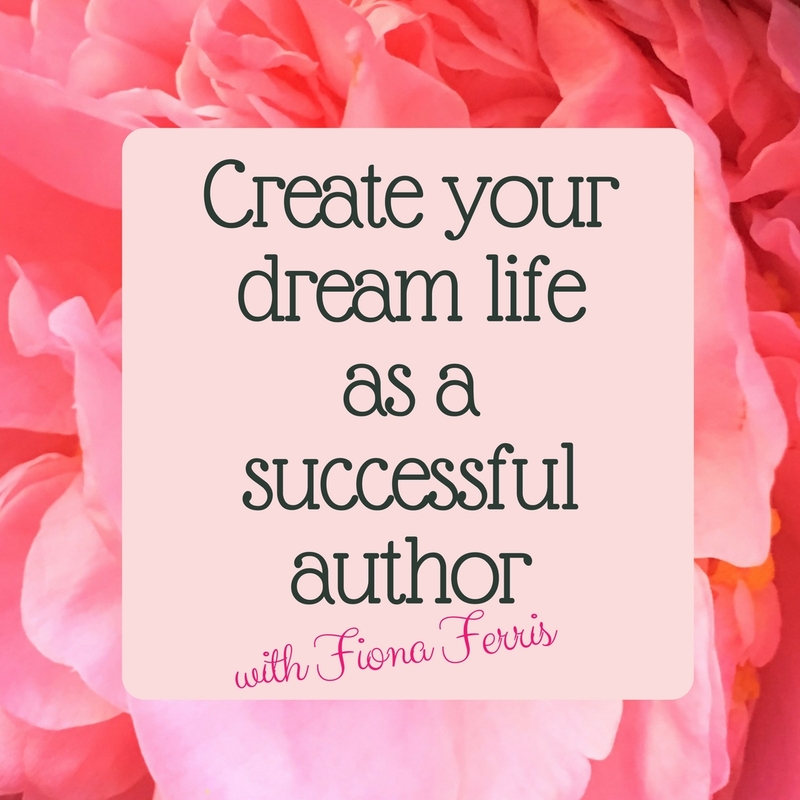 It's a great and inspirational read, Fiona! This really is an amazing post, Fiona. I think I will make my toolkit the word "patience".....late last month I had to put my dear old Pekingese Coco to sleep (heart failure) and my hubby said "life is short" so Fiona we could have taken a retired older breeder Peke but ... well, we saw a photo and yep, we got a puppy! At our age - 60's!!! LOL but a black Pekingese was like a big box of chocolates to me ... I had to have one! LOL So ... we have had Yum Yum for nearly 3 weeks and I have to remind myself he is only a baby , do the potty training, puppy school and sort out foods etc.... I am trying to be patience as an old dog knows all your tricks and the way the home works , Yum Yum does not . Its hard being chic and patient when potty training a dog! Like your messy desk -- We will get there. Love the peonies too ... silk or real they are beautiful. Yup, they're peonies, and they are lovely. I recently have found a LOT of silk flowers at garage sales, and have finally been able to display all my vintage vases. They look very real and make me smile whenever I look at them. The thing I don't like about real flowers is that one must change their water and trim their stems every day in order to prolong their viability. This is not an optimal use of my time. I prefer to have something lovely that requires zero work once I arrange it. I also love the smell of Mrs. Meyers geranium all-purpose spray. I've recently been sampling her scents for dishwashing liquid, and I tried Bluebell last because I didn't know what bluebells smelled like, but I figured what the heck. Well, it is my absolute favorite! It reminds me of an ocean breeze... very relaxing. Just the sort of feeling one needs when doing chores. Mimi, you have said well how I feel about flowers! I love the look, and yes, nothing compares with fresh flowers, but for everyday beauty with no aftercare, I love silk flowers. I'm intrigued by your jar of coffee beans. I am adopting that in my house pronto! I've been looking for natural items to add for Fall and I think this looks great with the color and texture. I can't wait to order this book! The "look inside" was amazing!! 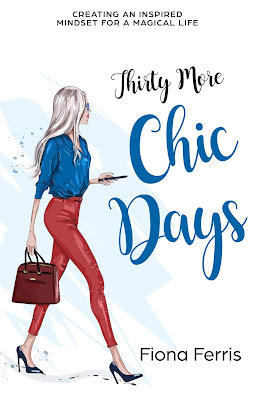 I especially love the gray hair on the woman on the cover as I have decided to stop coloring my hair at 48 and I'm excited about seeing how much gray I actually have, I have no idea lol but it can be very chic! Good on you Carla. I bet it works well with skin tone. I stopped coloring my hair after I turned 50 and was quite nervous about it. So many people compliment me on it. The trick is choosing the right shampoo and conditioner (I use ecostore). Some make silver hair go a faded yellow. My friend uses a purple wash in hers. Thanks Carron. I am kind of nervous about it too. My husband is completely on board but I know my sister is going to freak out lol. I've already bought the purple shampoo and conditioner. My gray seems to be mostly around my face but we will see....I've always wanted highlights lol!